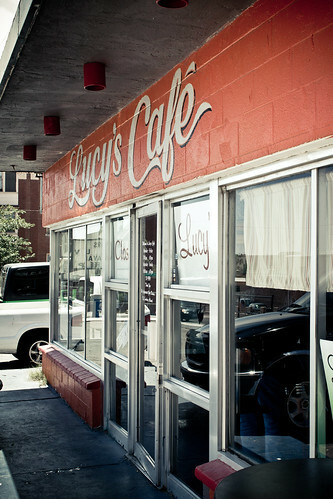 I stopped by the Lucy’s last week, the one in the Budget Motel on Mesa. 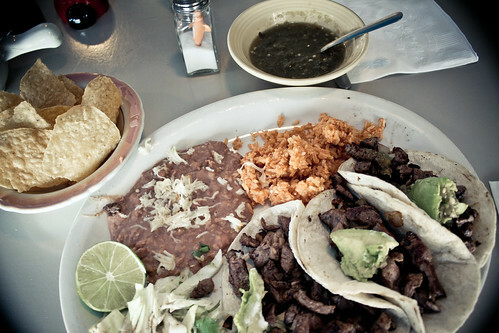 Normally I get the Machaca plate but today I felt like some Tacos Al Carbon. Good stuff! I don’t use salt, which is good because a small plastic shark had taken up residence inside of the shaker. 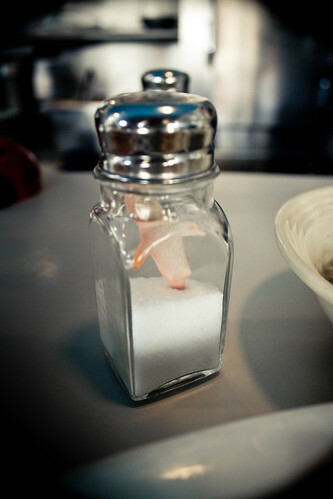 Excuse me, there is a shark in my salt! Pro tip: it keeps the salt from clumping. Much more whimsical than rice.